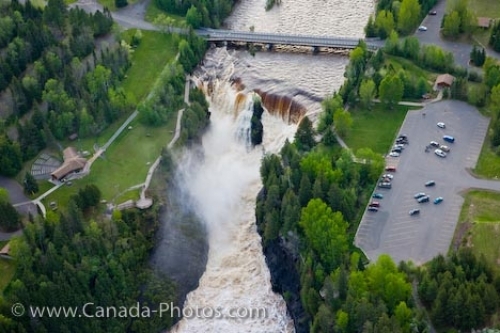 This amazing aerial view of the Kakabeka Falls Provincial Park shows the foamy misty waters cascading down into the Kaministiquia River. The power of the water can be seen from this view. A bridge spans the river just before the falls. Lush evergreen surround the area of the lake.